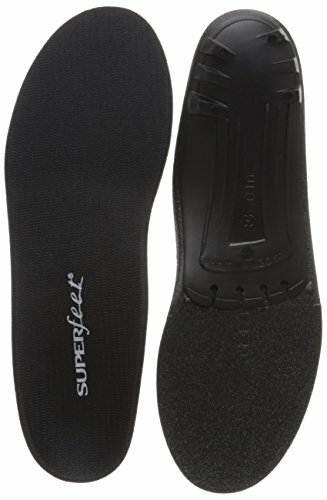 Superfeet Black Premium Insoles,Black,D: 8.5-10 US Womens/7.5-9 US Mens | What Should I Say? When youAAAre looking to relieve some pressure during your next evening stroll, slip the Superfeet Trim-To-Fit Black Insole into your shoes. This lightweight, highly accommodating insole adapts well for most arch types, distributing pressure, and improving fit for sensitive feet. SuperfeetAAAs Encapsulating Stabilizer System cups the heel for optimal shock absorption, further reducing strain on your legs. If you have any questions about this product by Superfeet, contact us by completing and submitting the form below. If you are looking for a specif part number, please include it with your message.